Sitting in the South of Bali, Samabe Bali Suites & Villas is blessed to be located at the serene ambiance, glittering coastline and wide choices of facilities and activities. To top it off, Samabe Bali Suites & Villas always has something special to offer which creating your sweet escape in this island of God! Be ready to get wet and have lots of foam at the weekly Samabe Sundowner Foam Party. Held twice in a week from 16.45 to 18.30 hours, every Tuesday at the beach and Saturday at the pool side, we will combine our stunning venue with stream of foam. 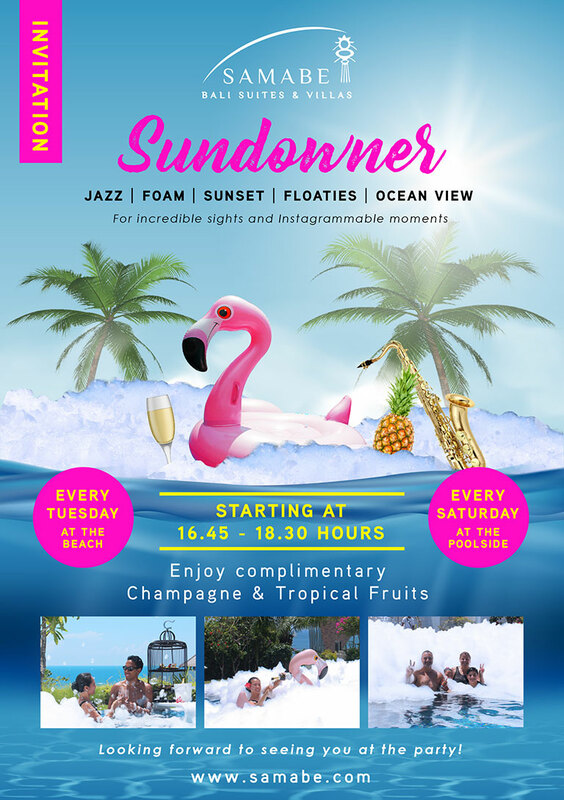 Enliven your sunset foam party with a relaxing jazz music and complimentary champagne and tropical fruits. Get up and dance with the foam!